If one thing’s for certain, it’s that marketing has most people fooled. A lot of popular skin care products that claim to be good for your skin, are actually doing the opposite. There’s a lot of misinformation and conflicting opinions making their rounds, and that’s why we should keep things simple and sensible. Logically, the best sources to listen to when looking for healthy products are the skin professionals themselves, not the companies advertising their own products. Basically, if dermatologists or aestheticians would use the product on themselves, it’s usually worthy of your money, and your precious skin. Here at The School of Natural Health Sciences we’re all about going natural, but we also take note from the skin care experts who have their beauty routines down to a science. 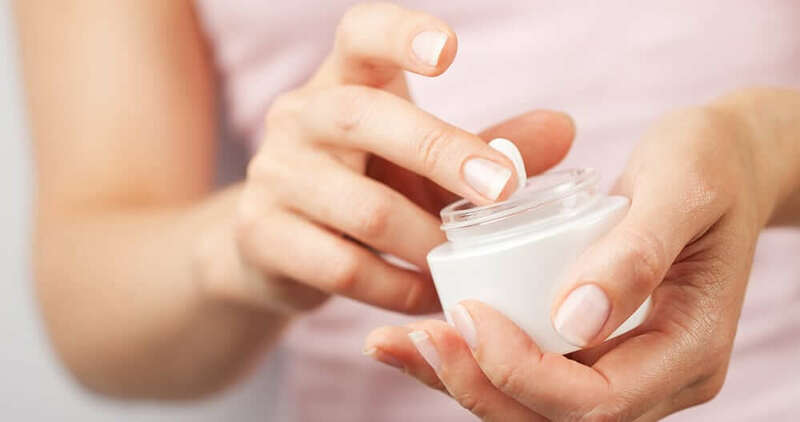 Here are the four ingredients and products that dermatologists want you to avoid to keep your complexion healthy and happy. It’s extremely hard to come by a skincare products that don’t contain added fragrances. The way a product smells is a major selling point, but unfortunately, ‘fragrances’ and ‘parfums’, are largely unregulated by the FDA and often contain a number of synthetic chemicals which happen to be key offenders in provoking irritations and allergic reactions. Unfortunately, fragrances interfere with the skins natural protective barrier function, and can result in issues such as redness, breakouts, increased sensitivity and dryness. A more natural alternative which can give the skin benefits is the use of gentle essential oils such as lavender, geranium and chamomile. Our skin, particularly the more sensitive areas such as the face, don’t really require as much exfoliation as certain beauty “gurus” and their sponsored products would have you believe. Some of the most loved brands of all time, such as the world famous St. Ives, have been sued for skin damage, and seen subsequent lawsuits claiming that their exfoliants are harmful to skin. The problem with nut or sugar scrubs, like the St. Ives Apricot Scrub, is that they can actually cause tiny tears in the skin. These tears are not visible to the naked eye, but are big enough for bacteria to pass through the now damaged protective barrier and multiply inside skin cells causing infection. Dermatologists warn of over-exfoliation, and instead promote gentle removal of dead skin cells, or desquamation. This can be achieved with the use of either soft sponges, a simple damp face cloth, a warm oil massage, or even a weekly clay mask. As a general rule, we really don’t require any grit to help keep skin blemish-free and healthy. The skin has a natural process of shedding unwanted cells, and scraping them off doesn’t work to benefit that process. Instead, you end up stripping the skin, drying it out, and potentially exacerbating conditions such as rosacea, eczema and acne. Makeup which lasts all day without fading or smudging, has been designed to cling to skin cells with the science of silicone polymers and dimethicones, two substances you really don’t want hugging your face for long periods of time. Dimethicone is suspected to be an environmental toxin as well as bioaccumulative. Synthetic polymers not only pollute the environment, but have raised concerns that they contain potentially harmful contaminants, especially when used in large doses over a long period of time. SPF’s are important for skincare purely for protective purposes. It’s easy to prevent harm, and a lot harder to fix any issues once the damage has been done. Wearing adequate sun protection is not only vital for healthy skin complexion, but also overall physical health. Sunscreens with an SPF lower than 30, or without UVA/UVB blocking agents are just not worth it. As for tanning lotions, think of them as a magnifying glass that takes the suns rays, and multiplies them in all their horror and glory. Tanning lotions, or oils, are a beauty product aimed at consumers who are after a quick golden tan at any cost. Dermatologists warn us that the long term damage that can occur with regular use of these products, coupled with sun exposure, is not pretty. For proper protection you have to go for a high SPF, and make sure that the product states it protects against both UVA and UVB rays. Unfortunately, the SPF claim can often be lower than advertised, so it’s always worth choosing the highest protection available to be on the safe side.